Place the cashews, dates and hemp seeds in a blender; then pour then pour the water over the nuts and blend on high speed for about 1 minute. 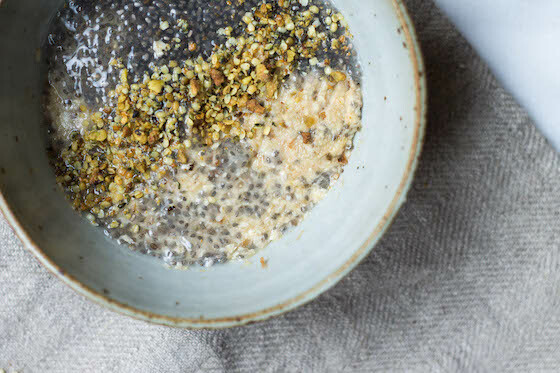 Pour in 2 additional cups of water; then add the cinnamon, salt and chia seeds and pulse until your mixture is combined; if the pudding is too thick, you can add the remaining 1/2 cup of water. Refrigerate the pudding for about 1 hour. Top with the nuts and fresh fruits. Serve and enjoy your delicious pudding!